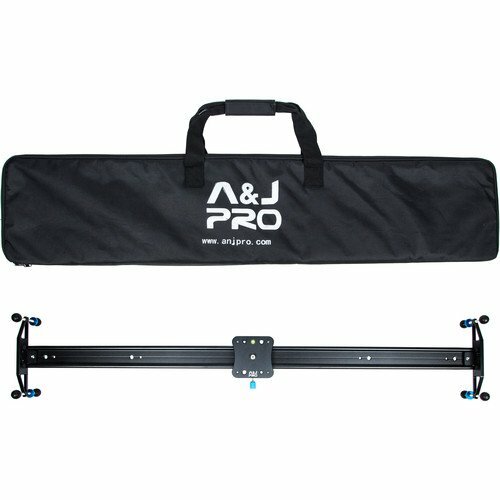 A&J Pro Simple Camera Slider 37.8"
8 good quality rolling bearings, the roller slides smoothly and quietly without too much noise. 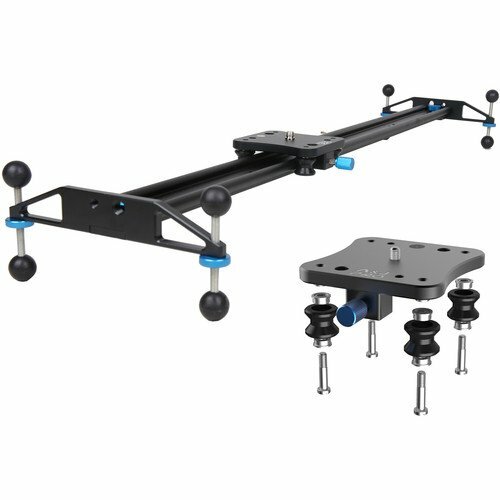 The height-adjustable legs with height-adjustable rubber feet at the ends of the slider are for leveling on uneven terrain, which help you enjoy a comfortable sliding at any height you need. 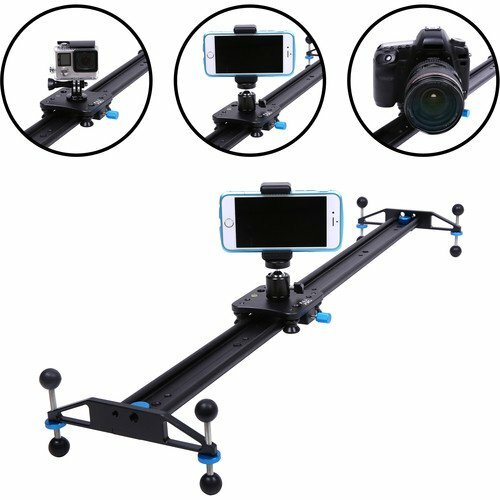 The A&J Pro Simple Camera Slider is processed by CNC machine cutting technology and is made of aluminum alloy which makes it lightweight and very durable. 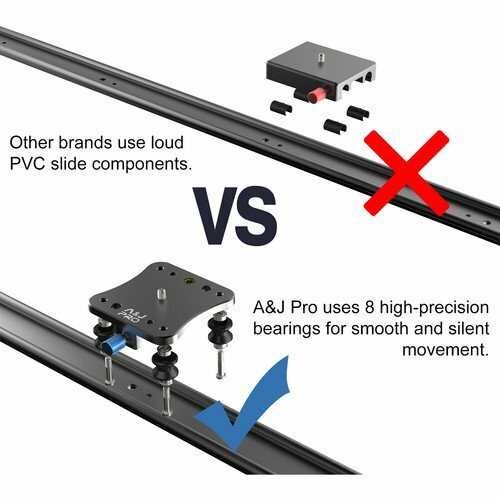 It works with 8 high quality rolling bearings which allows the roller to slide on the rails smoothly and quietly without much noise. 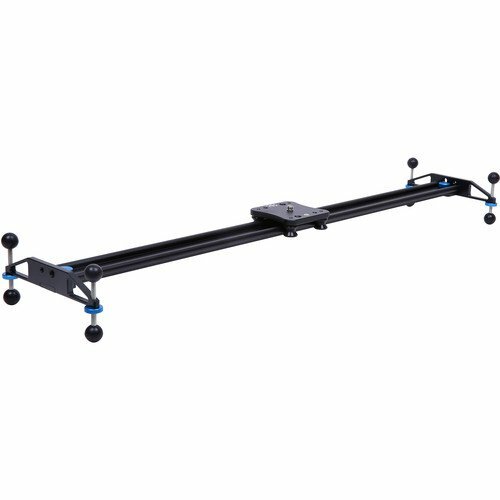 The height-adjustable legs and rubber feet at the ends of the slider help assist with leveling uneven terrain, and helps you enjoy a comfortable sliding experience at any height you may need. 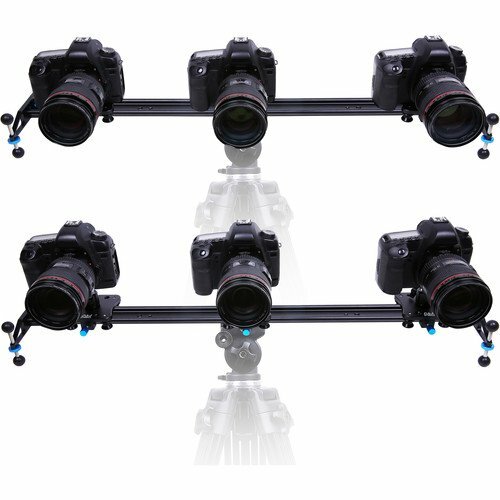 The Slider is very convenient to use without installation and can be mounted on a tripod or utilized for standalone use. 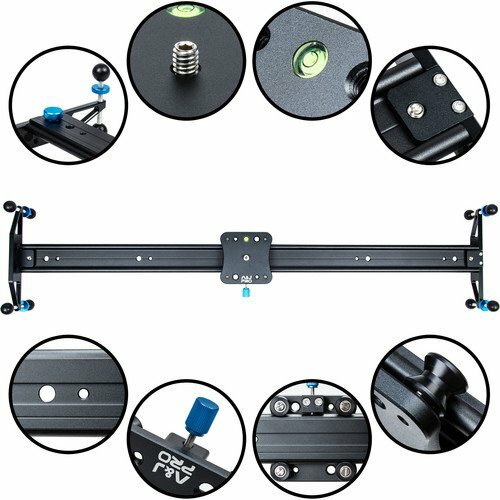 The swivel plate is suitable for mounting most ball heads and cameras and utilizes a 1/4″ and a 3/8″ screw thread on the swivel plate. 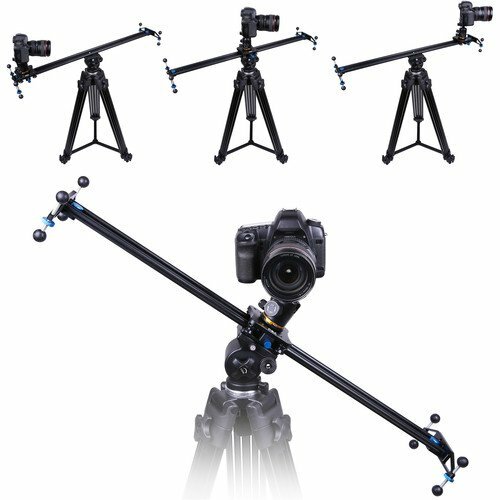 The mounting stud on the rails and the bracket can be installed on a tripod at various angles or even vertically which helps to achieve good stabilization and safety practices. 42.0 x 9.0 x 3.5"